Enjoy Oaxaca by visiting some of the maravelous exconvents from the XVI century with their breathtaking "Open chapels" or "Chapels of the indians" not to mention the beautiful, raw beauty of the Mixteca's landscapes. Visit this innovative center dedicated to the creation of blown glass using traditional y sustainable methods. 95% of the glass used in their process is recycled and melted down using alternative energy sources. 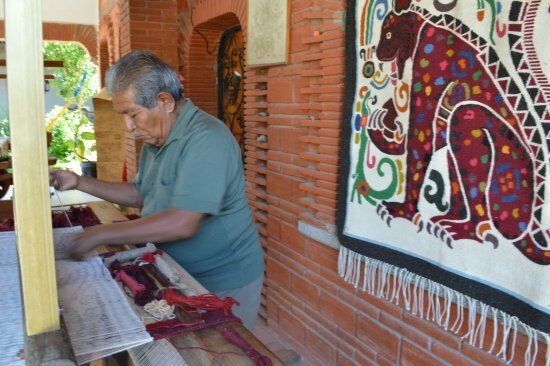 Enjoy yourself while you observe the creation process and the wonderful handcrafts it produces.